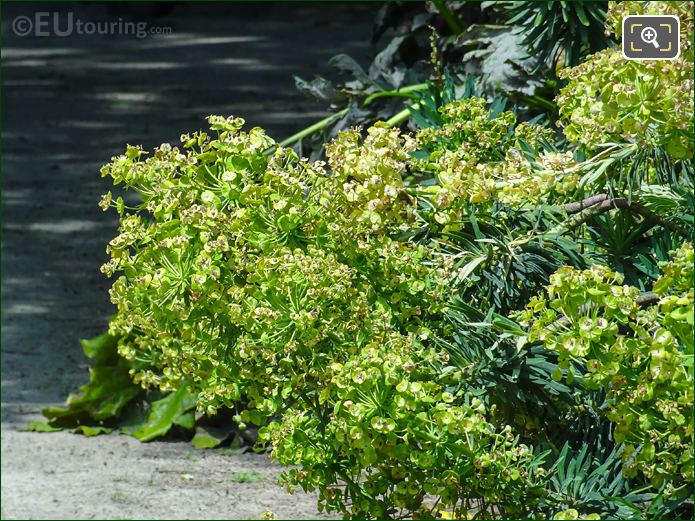 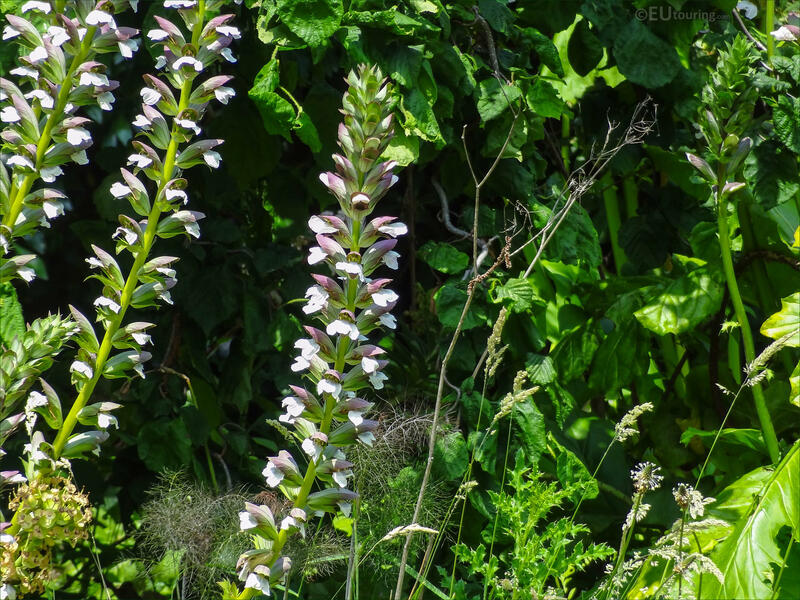 While we were at the Place Denfert-Rochereau discovering the three different squares located in it within the 14th Arrondissement of Paris, we took these high definition photos and macros showing some of the flowers and foliage that can be found in these small tranquil gardens. 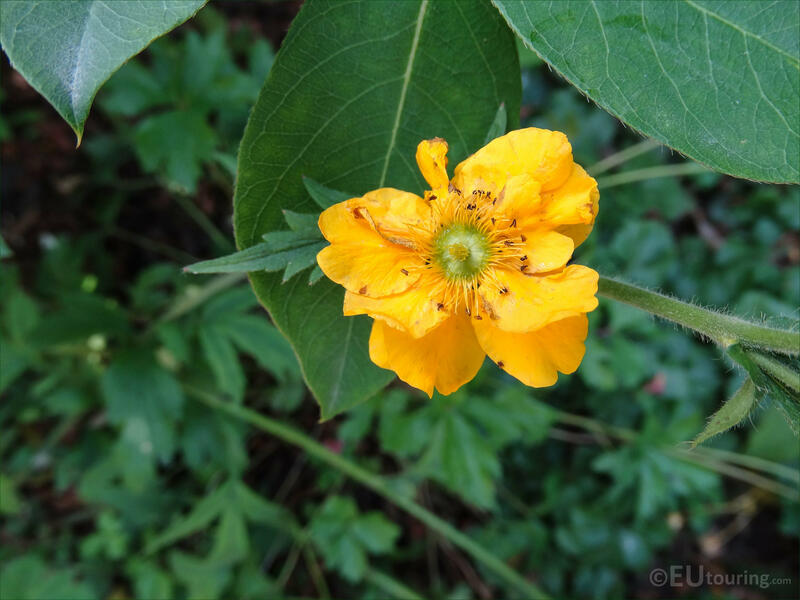 Unfortunately we are not botanists nor very good gardeners, but just enjoy the beautiful well kept gardens that can be found all over Paris, and this first close up HD photo shows a vibrant yellow flower, which we believe is one of the variations of Iceland Poppy. 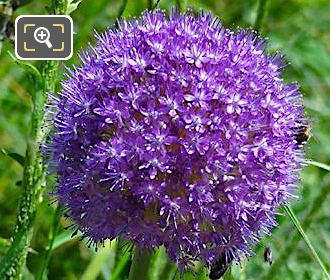 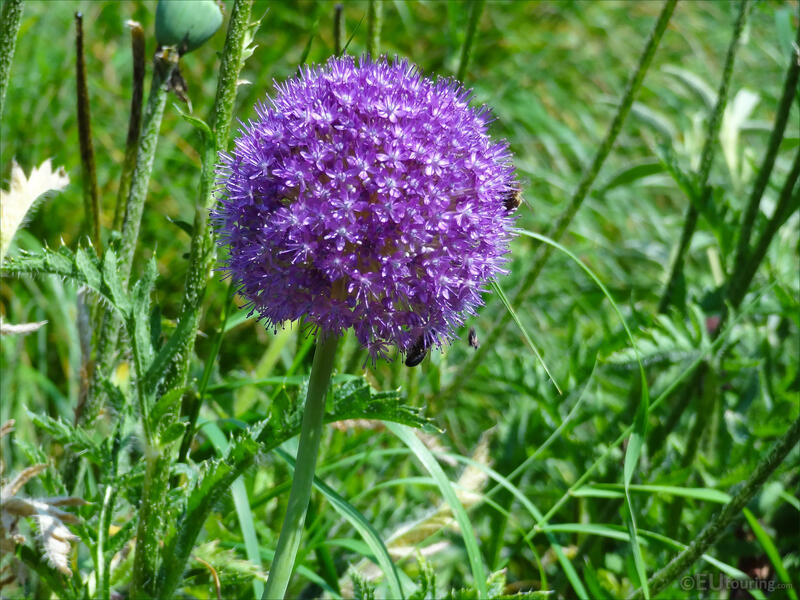 But this photo shows a close up of a flower called an Allium, which is a round ball like flower that is utilised mainly as an ornamental flower in parks and gardens, although it comes from the onion family and in Latin Allium means garlic, but flowering from late spring they are great for wildlife such as moths and other insects. 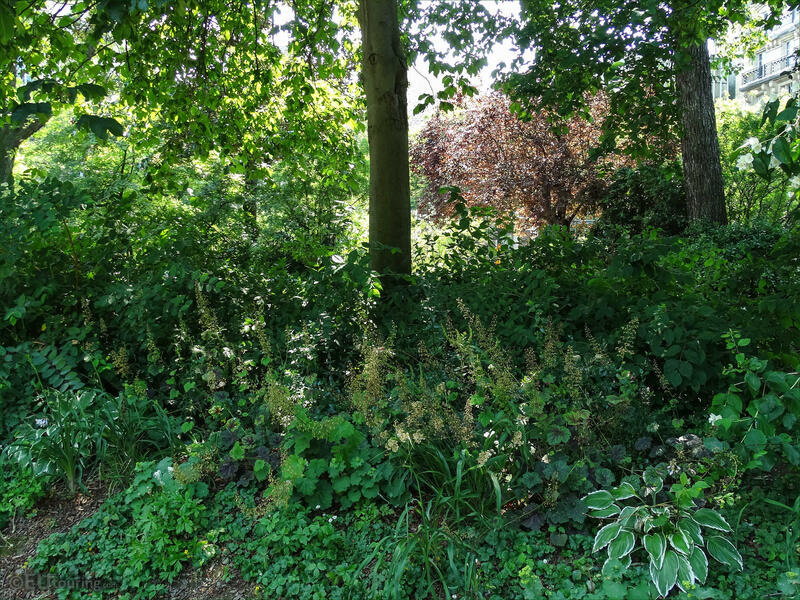 Trees and flowers attract all kind of nature, not forgetting that gardens and parks help provide cleaner air and less pollution in an urban environment, and the city of Paris has made sure that both its residents and tourists can enjoy these green spaces dotted all over the city. And environmental factors are always on the agenda, which is also one of the reasons that the majority of gardens in Paris have an ecological label, with a stance of not using pesticides in any public spaces, which is also beneficial to wildlife. 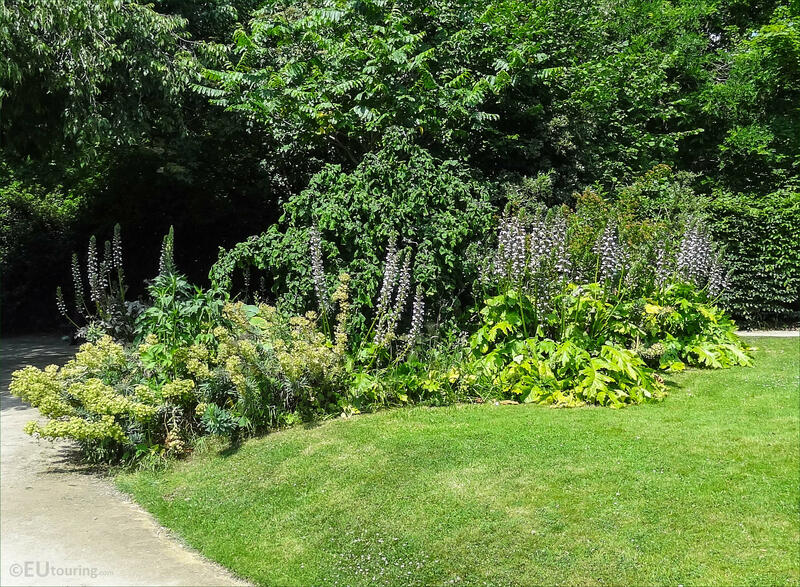 Yet here you can see some Lupins, and although sometimes spelt Lupine, the scientific name is Lupinus and within over 200 different types, one of these varieties has been planted in amongst numerous other different shrubs to provide additional colour to this green border. 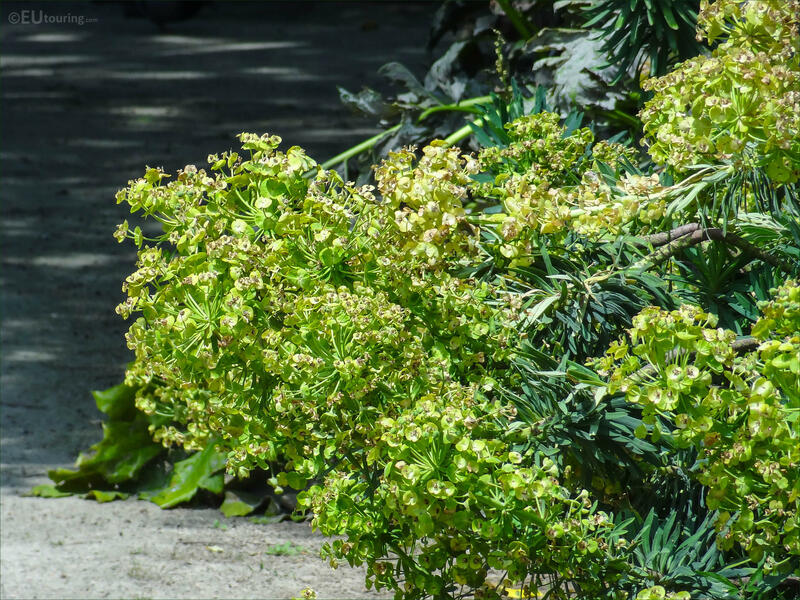 So whether you just want somewhere to relax away from traffic and hustle and bustle, or you want some inspiration for your own garden, then wherever you are in Paris, there will be squares and parks laid out with numerous shrubs and flowers that you can discover. 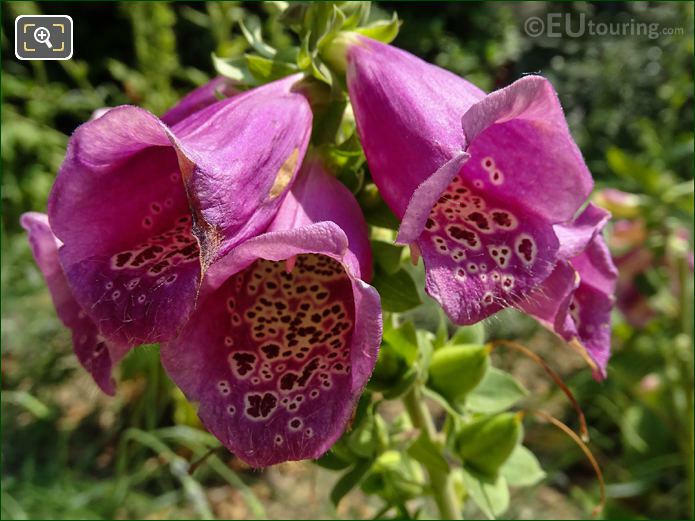 However, this is a close up photo we took showing the pretty pinkish purple flowers called a Foxglove, that is a biennial with a scientific name of Digitalis, which is a type of flower that certain moths feed on. 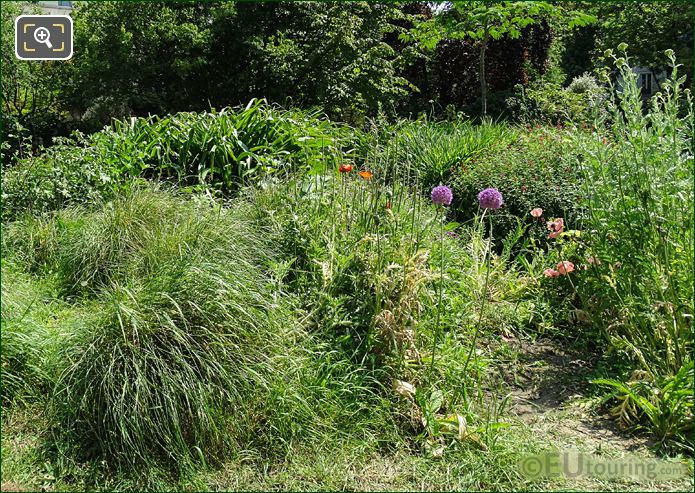 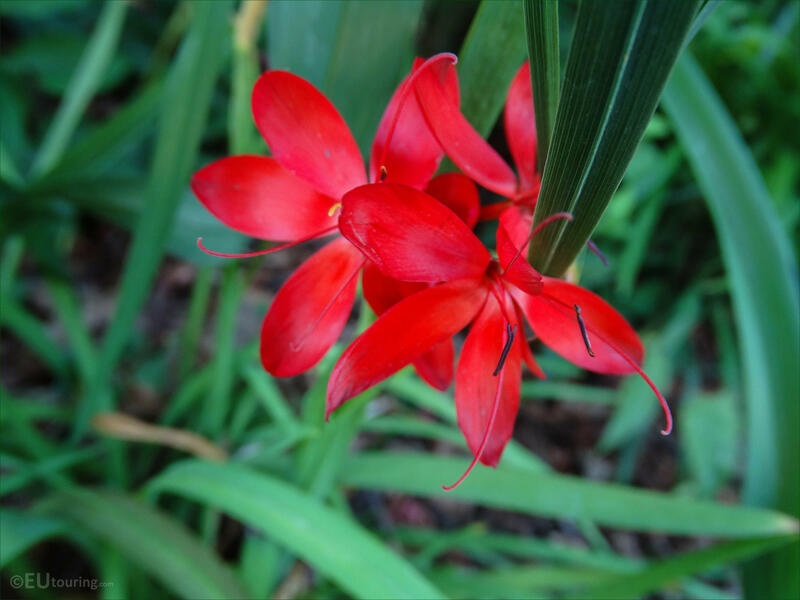 Although, you will also find that some of the gardens have almost a wild look to them to attract even more different species of animals, insects and birds with different types of grasses and ground cover combined with flowers and shrubs. 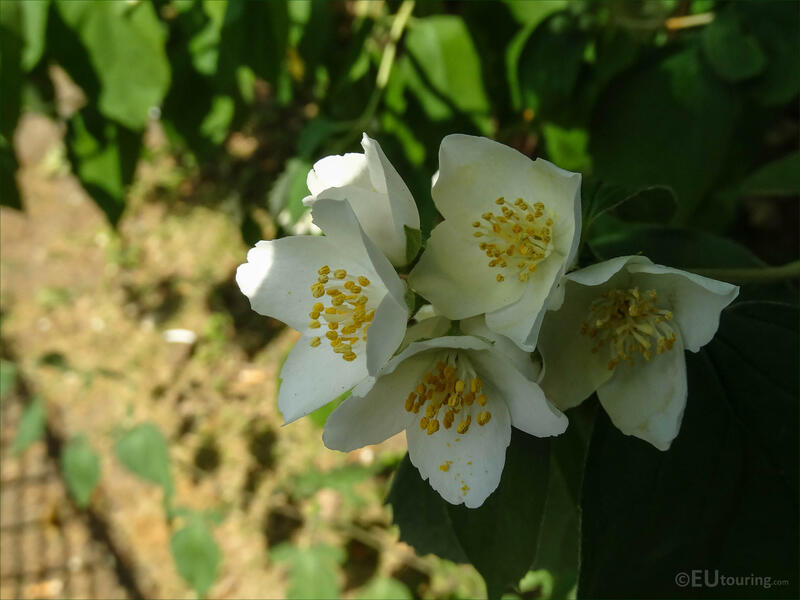 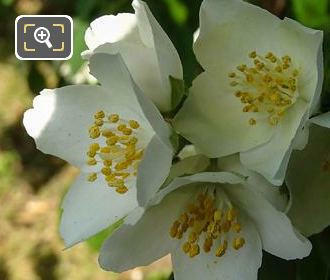 Whereas this photo shows another close up of a pretty white flower with a yellow anther and we think this is a variety of Clematis, although we could easily be very wrong! 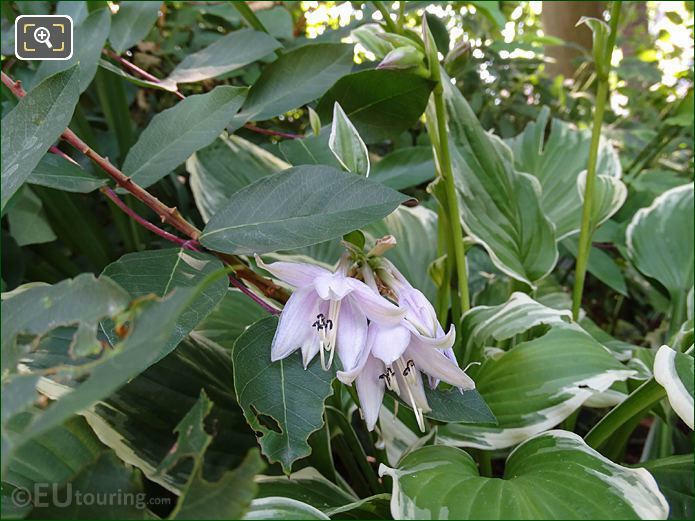 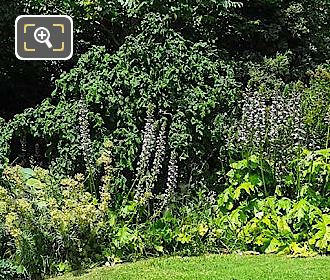 There are numerous different varieties of plants that can be utilised for ground coverage, as you can see in this photograph, and the one to the bottom right of the image with its white edged leaves is called a Hosta, also known as Hostas. 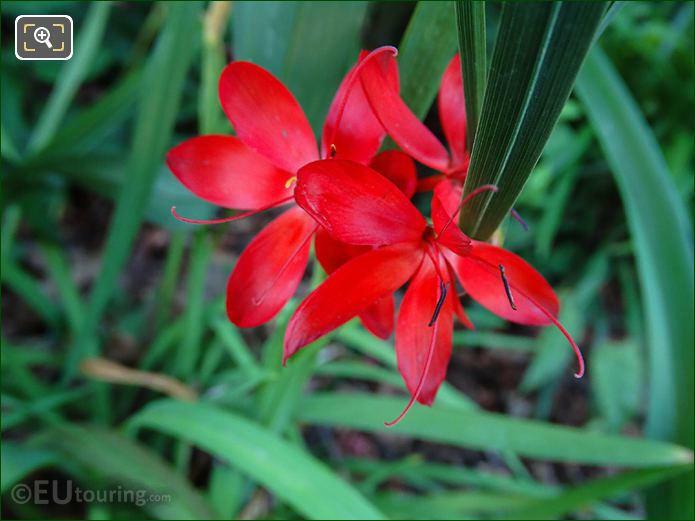 And here you can see another close up photograph of a vibrant red flower with long filaments and black anther, which looks very similar to one referred to as a Mickey Mouse flower, although we do not think this one is, so if anyone knows what this or some of the other flowers and shrubs are, then please do let us know.